The DJI Ronin-S image stabilizer brings inexpensive image stabilization to the users, in conjunction with an iPhone app to control the unit. 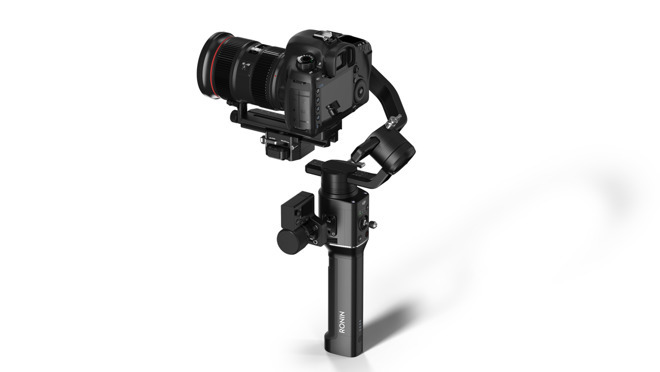 The Ronin-S, billed at the first single-handed stabilizer for DSLRs and other mirrorless camera systems, is now available for pre-order at a retail price of $699, before reaching retail late next month, with Ronin-S firmware, which will enable camera parameter control, set to follow in July. It's marketed as a relatively affordable way to achieve professional-looking camera stabilization without spending thousands of dollars. The product uses DJI's three-axis gimbal technology which, the company says, "compensates for zoom lenses with external zooming barrels and higher magnification ratios, while its advanced stabilization algorithms work with both in-camera and in-lens optical stabilization technology... " Also offered is a high-precision joystick and a Focus Wheel that can be mounted on either side of the handle. The Ronin-S can also be mounted to a vehicle, and has been tested at up to 47 mph. The DJI Ronin mobile app, available in the App Store, allows users to adjust camera settings and configure advanced customization, including through panorama, Motionlapse, Timelapse and Track. 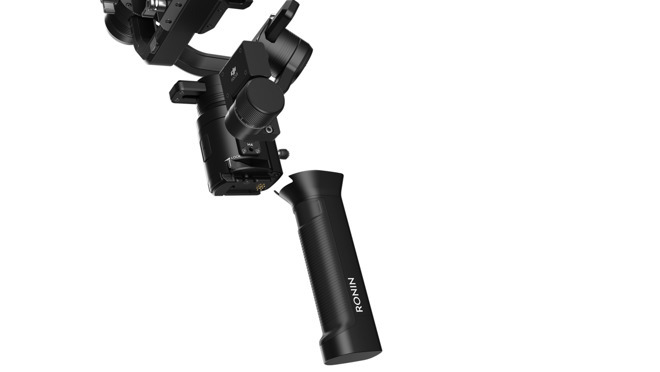 The Ronin-S also includes the Manfrotto quick release system and is available with most DJI Pro Accessories. DJI, a China-based company, is mostly associated with drones, including the Magic Air drone; it also offers similar gimbal products, such as the Osmo Mobile 2, which work directly with iPhones. The Ronin-S is available for pre-order at both DJI and B&H Photo for $699. B&H, a DJI authorized dealer, currently expects orders to ship on June 11, a shorter wait time compared to DJI's 20 to 25 business day wait. B&H is also tacking on free expedited shipping to the contiguous U.S. for faster delivery.